Rev. J.M. Gates, Did You Spend Christmas Day in Jail? from the new album Christmas is ON! Duke Ellington, What Can A Poor Fellow Do? Carolina Chocolate Drops, Ruby, Are You Mad At Your Man? 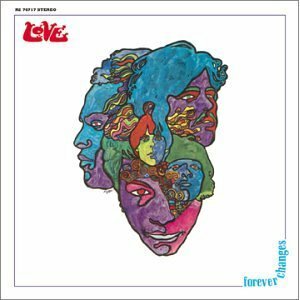 Inside The National Recording Registry: Love, "Forever Changes"
Like Sgt. Pepper, Forever Changes was an eclectic record that mixed different '60s elements with symphonic ambitions, including fully orchestrated horn and string sections. McLean and Arthur Lee — both dead now — wrote and sang lead, McLean bringing the folk-rock influence he had acquired as a road manager for The Byrds. But Forever Changes made little impression at the time. Its undercurrent of darkness and paranoia may not have suited the Summer of Love, and it was certainly overshadowed by the Beatles’ great watershed. But it was in Britain that Forever Changes found its audience, as Maria McKee saw firsthand many years later. “When I was in my band [1980s country rock group] Lone Justice and we performed the first time in London, that was pretty much all anybody wanted to talk about — Love.” As a new generation of American musicians and fans of ‘freak folk’ has rediscovered the lesser-known 1960s, Forever Changes’ reputation continues to rise. The record was selected for the National Recording Registry in 2012. Telling its story are Johnny Echols, Maria McKee, and the record’s producer, Bruce Botnick.